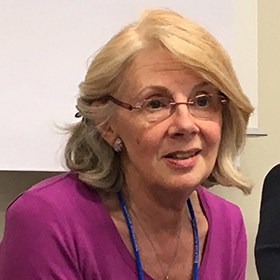 Philippa Cordingley, a renowned expert in evaluation, research-use and effective Continuing Professional Development and Learning (CPDL), leads the CUREE research and CPDL teams. Recent projects include a study of how national policies in seven different nations shape teachers’ professional identities, school effectiveness and/or international approaches to teacher review. She is a member of the DfE Expert CPD Group, of the Queen Rania Foundation’s Technical Advisory Group, Chair of the Research Advisory Panel to the combined Leadership Group established by COT, NAHT and ASCL, a trustee of The Big Education Trust and a member of OECD’s Expert Group for Country reviews of teacher preparation and CPDL.